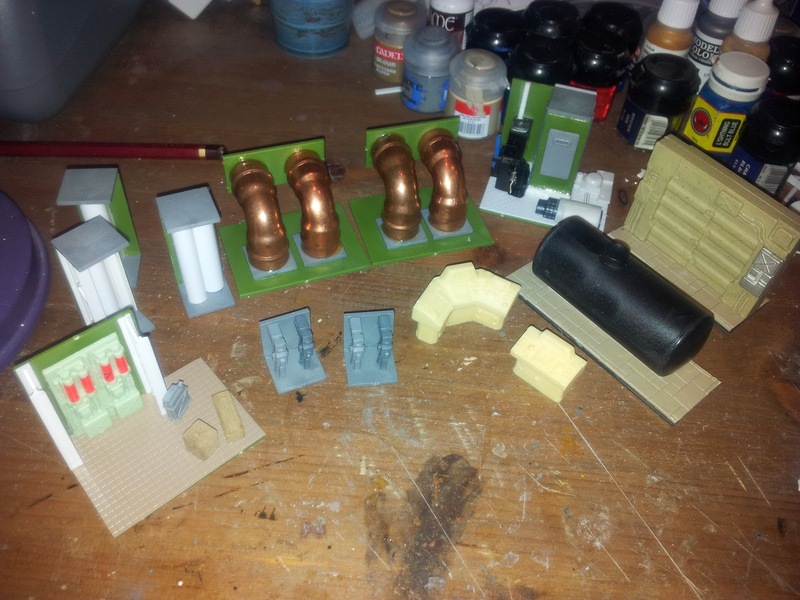 Well it has been a couple of days and in my meagre hobby time I've managed to assemble about 10 scenic items from nowt but stuff in my bits box. Going to get them sprayed up tonight and paint em over the weekend. So now to get it all sprayed up and hopefully finish painting it by the end of the weekend allowing my to concentrate on getting some minis painted over the next few weeks and await the arrival of the rest of the terrain.